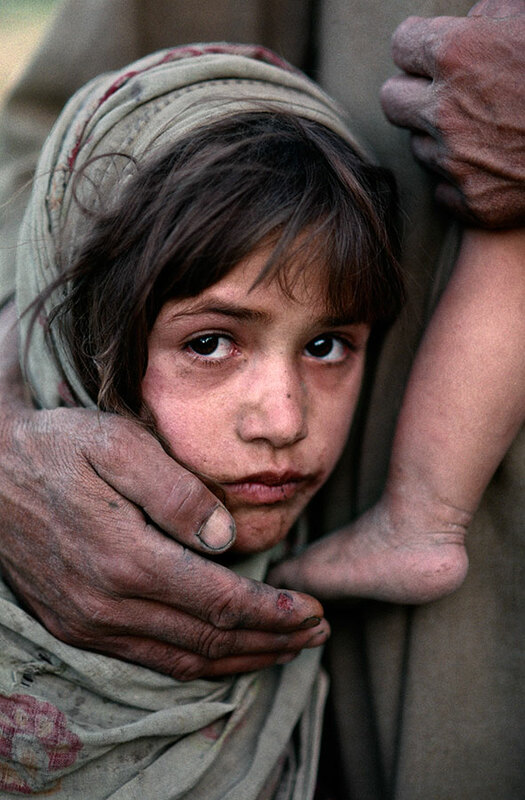 I’ve always been fascinated by faces and hands. Maybe this stems from my upbringing in rough-and-tumble Texas and growing up around old farmers and cowboys and domino players down at the dark, dank pool hall in Navasota where I used to drop in and listen to the old men hold forth with stories when my mother or grandmother thought I was down looking at the comic books at Elliot’s Drug Store. Although, I did spend a lot of time at the drugstore’s comic rack too. So my vice was offset by my virtue. But it was much more interesting at the pool hall looking at those wrinkled or grisly and stubby-whiskered faces of the domino players and watching them slam the rocks around with those sun-baked hands of theirs. There was also a lot of time spent with my elderly grandmother and her landlord, the old spinster Miss Trannie, and time spent with scores of other old characters, men and women, with faces and hands that fascinated me. 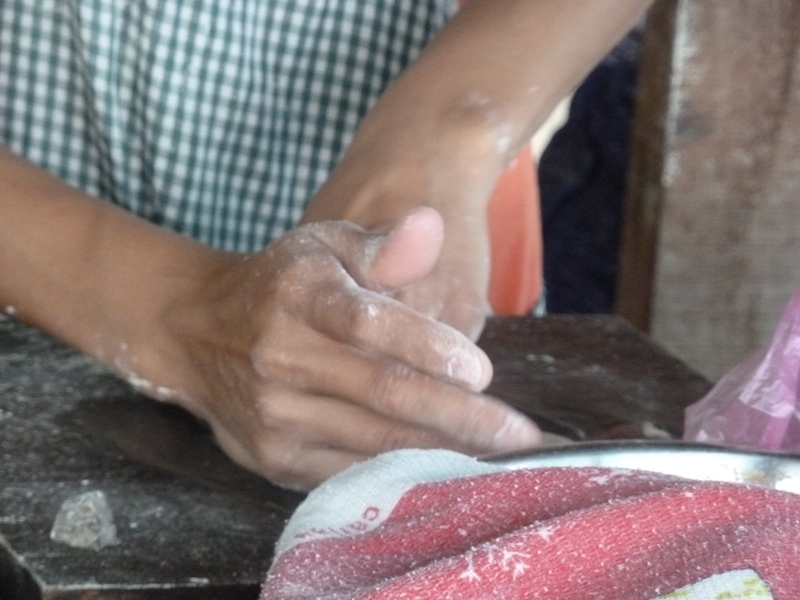 I’ve often wondered what those healing hands of Christ looked like, the powerful hands of a carpenter that were transformed into the delicate hands that released so many people from so much misery. They had to drive spikes into those hands to snuff out that power, which couldn’t quite be snuffed out. That doubter Thomas got the shock of his life when you-know-who showed showed up to show him those precious hands. "Then [the resurrected Christ] said to Thomas, 'Put your finger here and see my hands. Reach out your hand and and put it in my side. Do not doubt but believe.”'"
As a lifelong student of hands and faces, what I’d have given to have seen the look on that face. 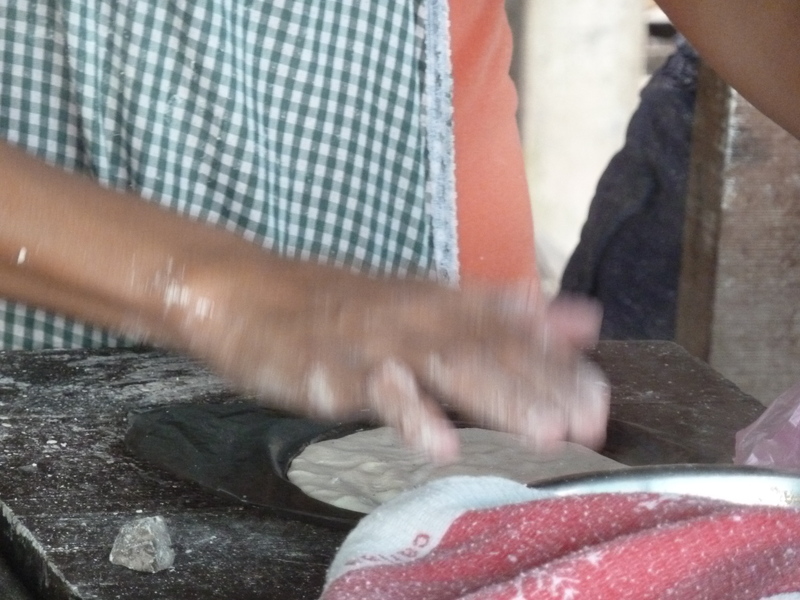 Give us this day our daily tortillas: My friend Rosio has a great location for a tortilla stand at the busy intersection of Benque & Bullet Tree Roads in San Ignacio, where there are a couple of popular taco stands opposite each other on Bullet Tree as well. 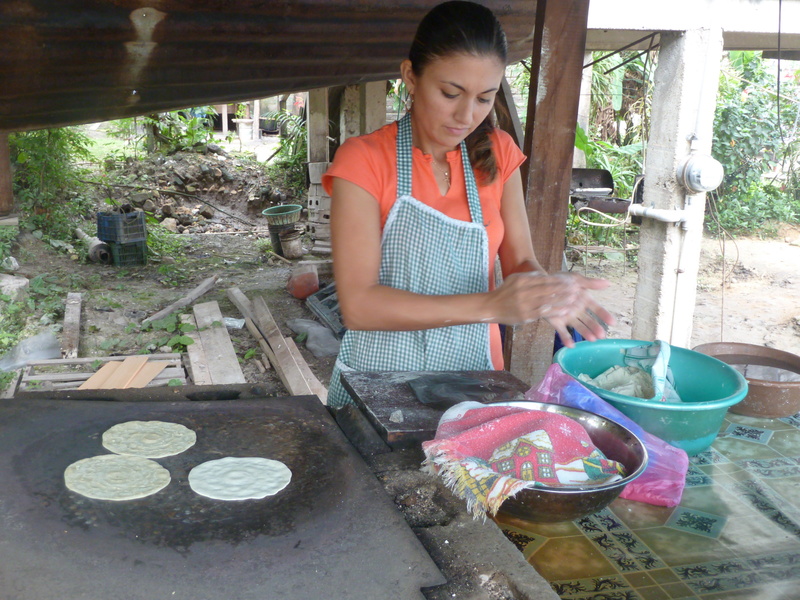 Rosio’s stand is open from 6 a.m. to 8 p.m. and she is a tortilla making machine–I’ve never passed by her small business when she was not completely focused on making more delicious, piping hot corn tortillas. It’s a marvel to watch her work with those hands. 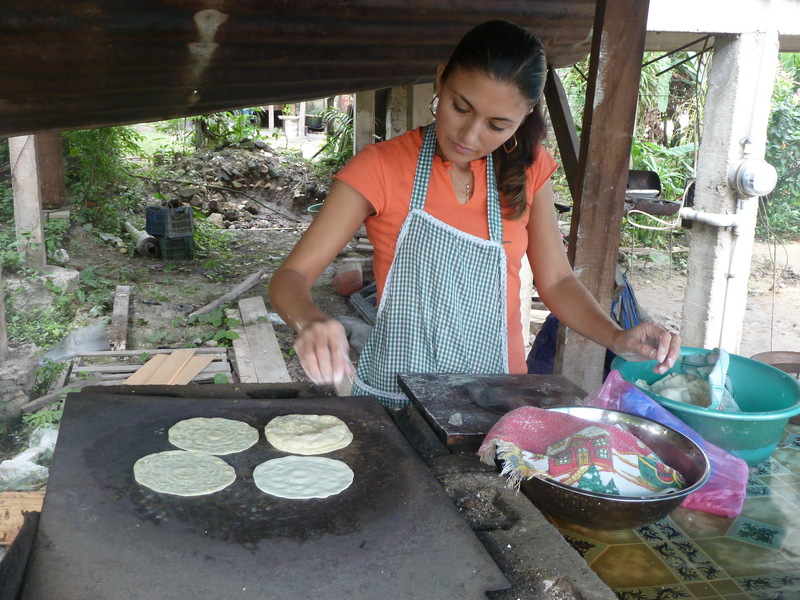 Even when she sells a batch (the going price for corn tortillas in Belize is 10 for $1 BZ dollar, which is 50 cents U.S. She can stop, sell, take the money from a customer or a few customers and get right back to making more tortillas with fluid motion. 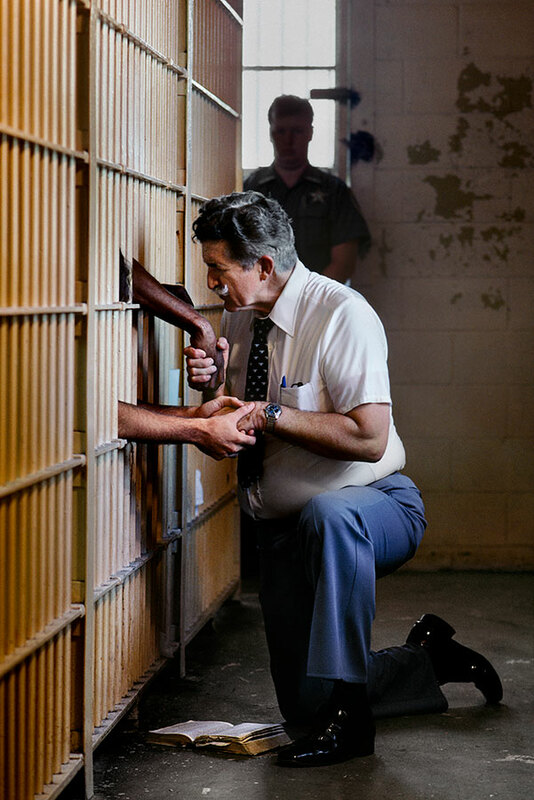 Check out the pictures of Steve McMurry, a wonderful observer of hands and faces, here. Thanks and blessings, most favored homegirl. Sending you a message since I’m home in a few weeks, btw.